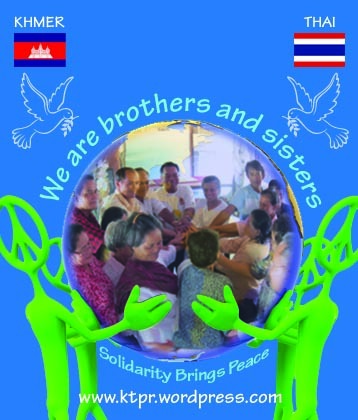 The Khmer and Thai People Reconciliation is a joint effort between Cambodian and Thai people who care about sustainable relationship between the two nations of Cambodia and Thailand. We aim to work together to contribute to strengthening friendly, trustfully and warmly relationship between the two nations toward peace and progressiveness as the neighboring and ASEAN members through active and soft activities. We open and warmly welcome any individuals, groups, organizations or institutions who/that have similar interests and would like to join or support us for bettering impact of the above goal.